Ancient drugs, songwriting and Texas music with Greyhounds and Mando Saenz. 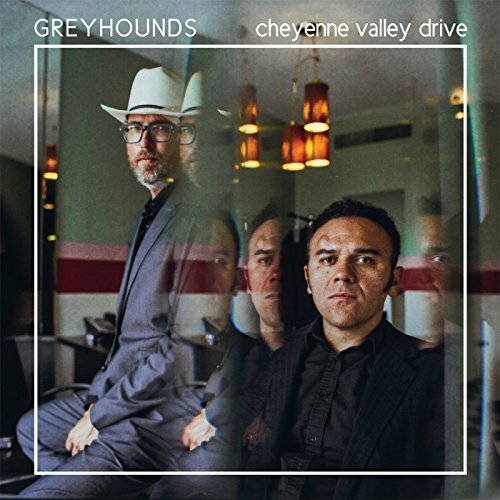 Greyhounds own Andrew and Anthony, pop in to talk about their newest record Cheyenne Valley Drive. This makes the bands 7th record and probably one of their rawest recording to date. They traveled to Memphis to cut songs like "No Other Woman" and "Credo" with producer Matt Ross-Spang in Sam Phillips Recording Studio. The guys are no newbies in the business. After years with other bands, building their own studio in Austin, TX, and continuously touring they still make time to produce and record other projects with other artists in their own space, Bud's Recording Services. Visit www.greyhoundsmusic.com for music, tour, and merch, and follow them @greyhoundsmusic. Then Mando Saenz, Nashville based/Texas influenced songwriter, comes in to talk about his notable cuts and even deep cuts. Mando quickly grabbed the attention of celebrated producer Frank Liddell by happenstance. Before to long Mando inked a deal with Frank's publishing company, Carnival Music, and quickly started writing songs with Miranda Lambert, Lee Ann Womack, Jim Lauderdale, Aubrie Sellers, Jack Ingram, Eli Young Band, Wade Bowen, and much more. Is there a division between the artist and a songwriter, and what if you happen to be both? What keeps Mando writing haunting, truthful songs even though he may not have experienced the context himself. For everything about Mando visit www.mandosaenzmusic.com and follow him @mandosaenz.